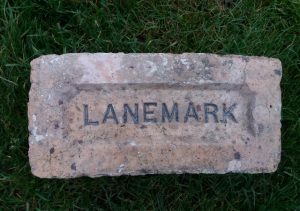 Lanemark Brickworks, New Cumnock, Ayrshire. Found New Cumnock. 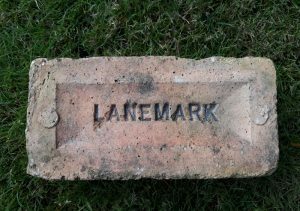 Lanemark Brickworks, New Cumnock, Ayrshire . . . . Below – This brick is also stamped Lanemark to rear . This is a different stamp to the front impression and looks like it has been stamped and then repressed. 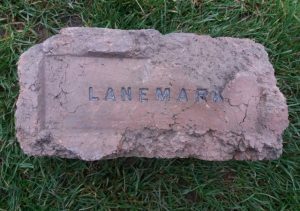 Found New Cumnock Lanemark Brickworks, New Cumnock, Ayrshire. 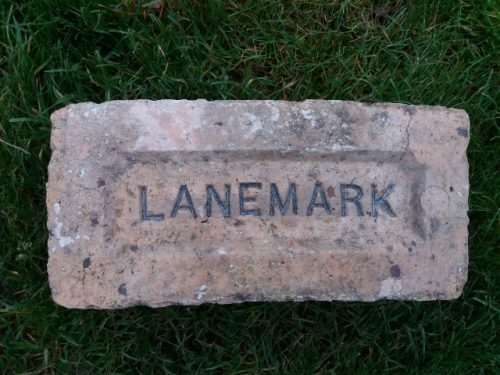 . . . . Below – The same stamp on a brick found in Kilmarnock. The frog is deeper than the example above.